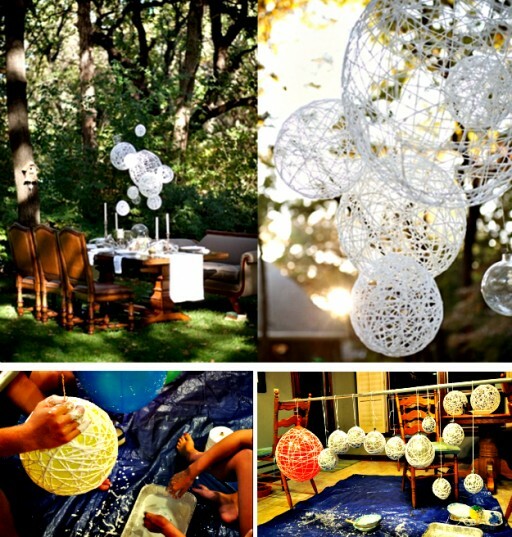 These do-it-yourself DIY string chandeliers are gorgeous. 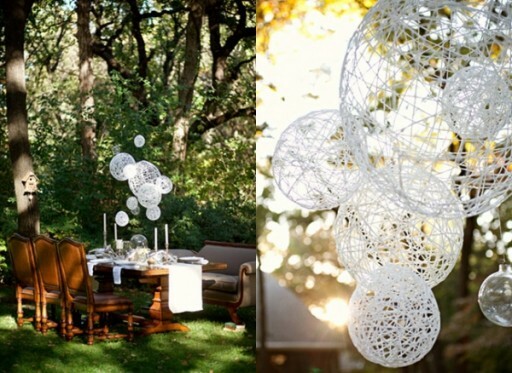 They make wonderful indoor or outdoor decorations. Make them in your favorite colors and hang them from trees or ceilings. 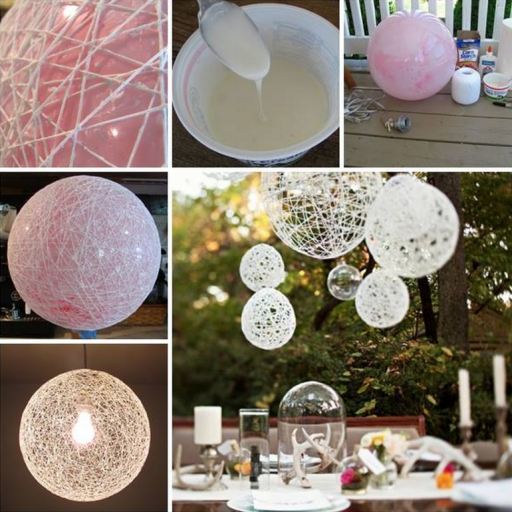 Check out how to make them here. They are going to add charming to your room or such events as wedding or baby showers.